We are extending the kitchen to create a bigger dining/living area and moving the bathroom upstairs, which we think will improve the facilities for our guests. We hope to be able to take bookings for Easter 2016. 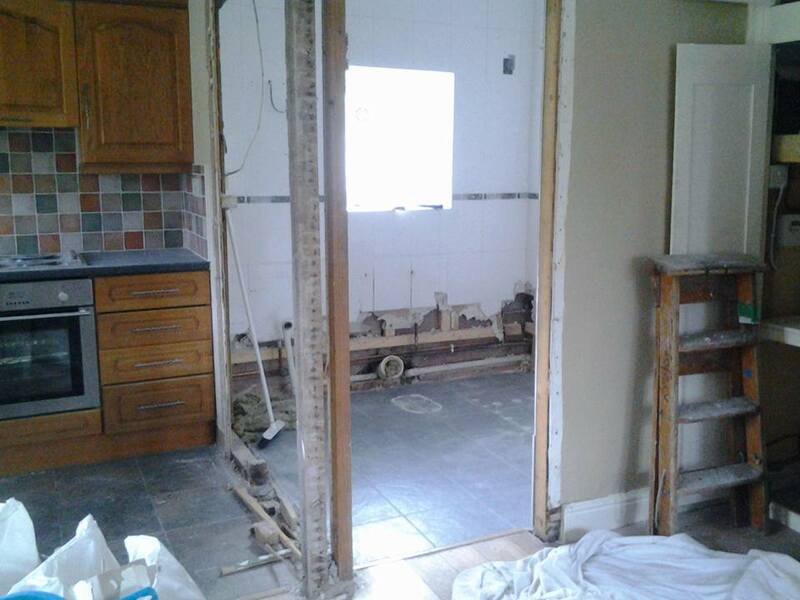 Phase one of some major refurbishment in The Old Coach House Cottage. 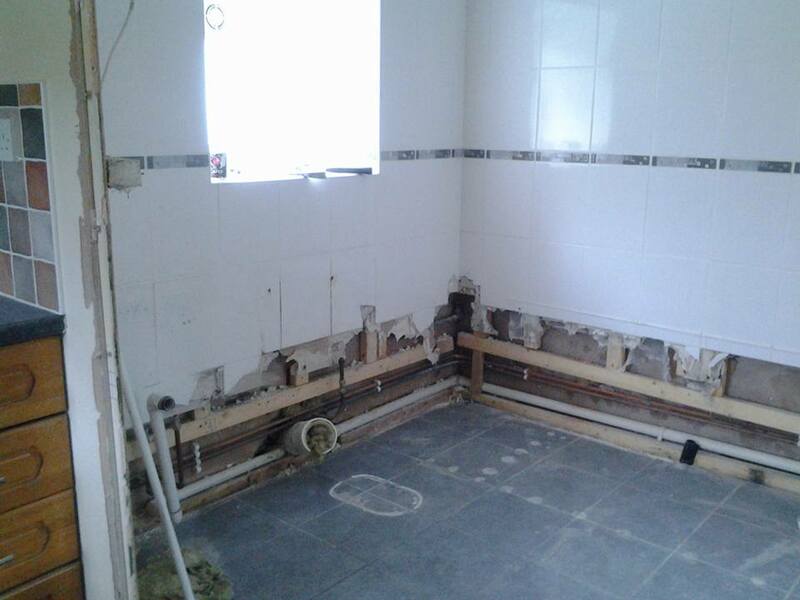 Bathroom has gone….to be moved upstairs. 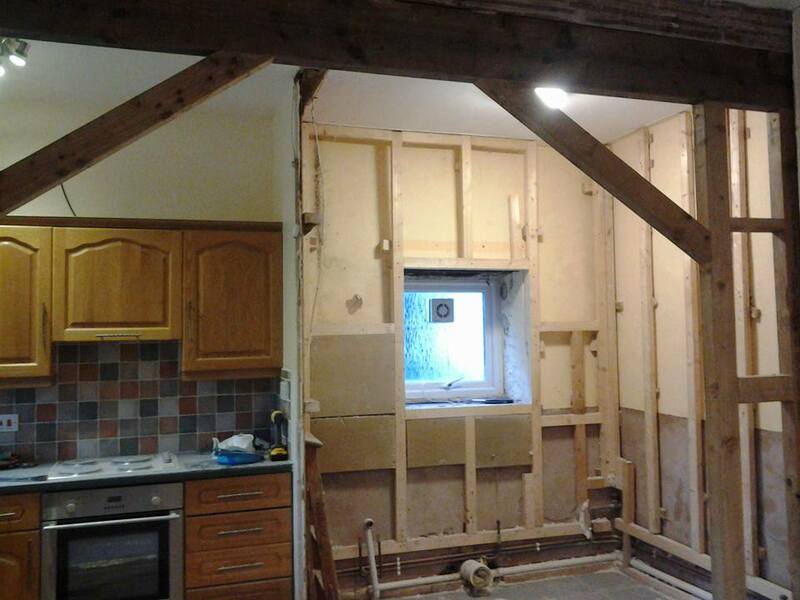 Internal walls down, archway timber in place. Next stage, plumbing and plasterboard. Getting there!